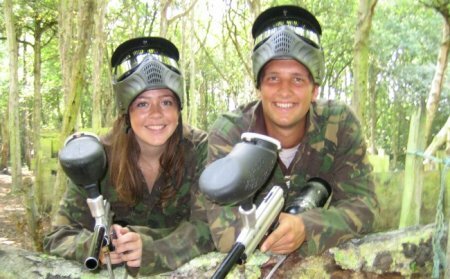 For paintballing in South Yorshire we offer some amazing venues. All of our premier parks offer some of the most exciting paintball scenarios in the area. UKPaintball centres in South Yorkshire cater for groups for all occasions including; Stag/Hen events, Work outings, Birthdays and Fun days out with friends or family. Using only the latest and best in paintball technology we'll make sure you have the paintball experience of a lifetime. Select one of the locations in the list below (or from the map above) and we can price an event for you in seconds. Westmoor Lane, Newton on Trent, Lincoln, Lincolnshire, LN1 2JW. Kitchener Plantation, Ollerton, Nottingham, Nottinghamshire, NG22 9FG. Moor Farm, Elsham, DN20 0PA. Mortimer Road, Sheffield, S6 6JE. Haigh Lane, Haigh, Wakefield, S.Yorkshire, S75 4DA.